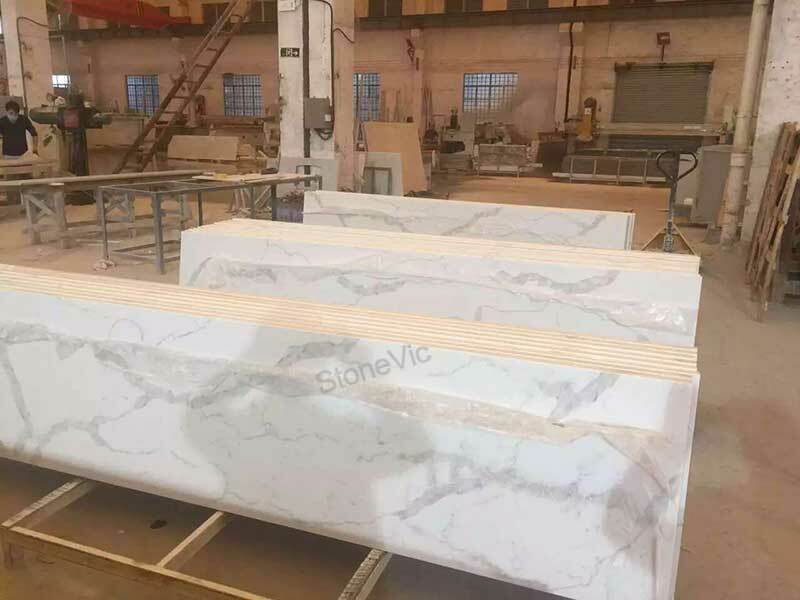 Quartz Statuario , new trend ,new fashion! 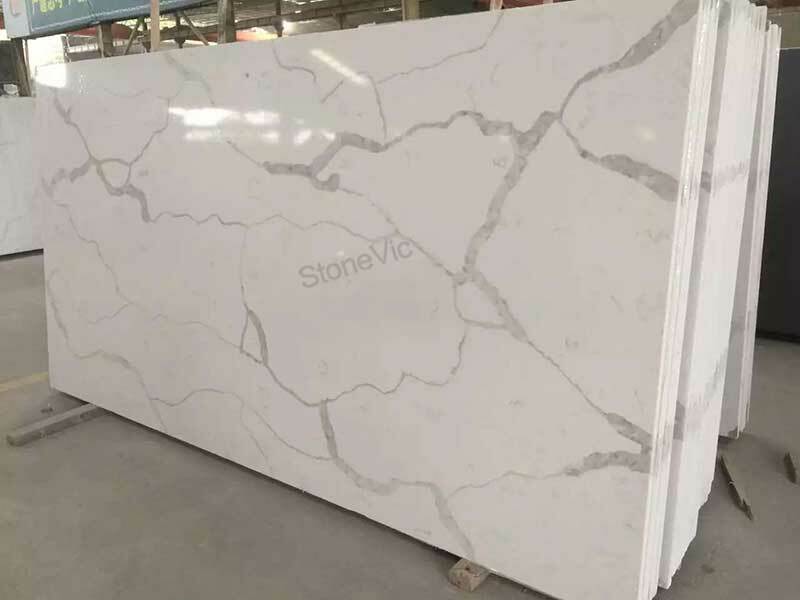 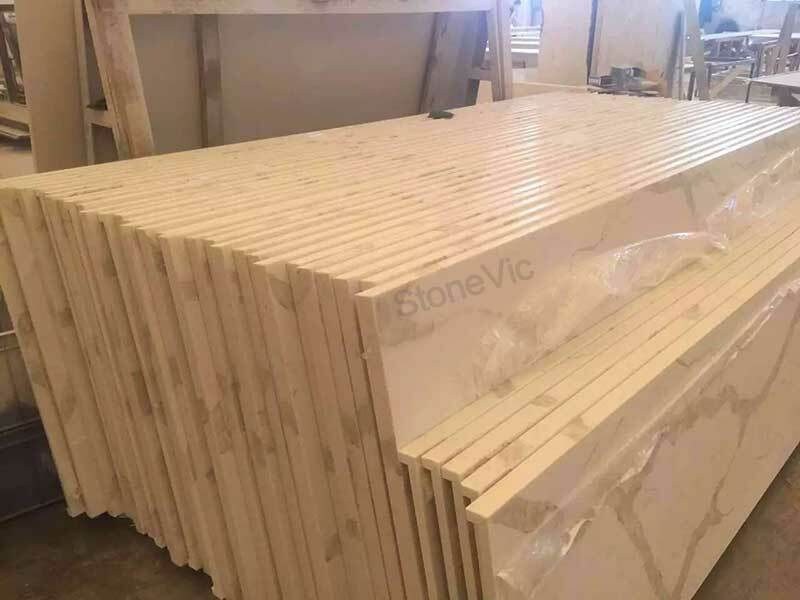 Despite the Quartz white series, Pure White, Carrara White, we are developing Statuario quartz, and could have the veins matched well. 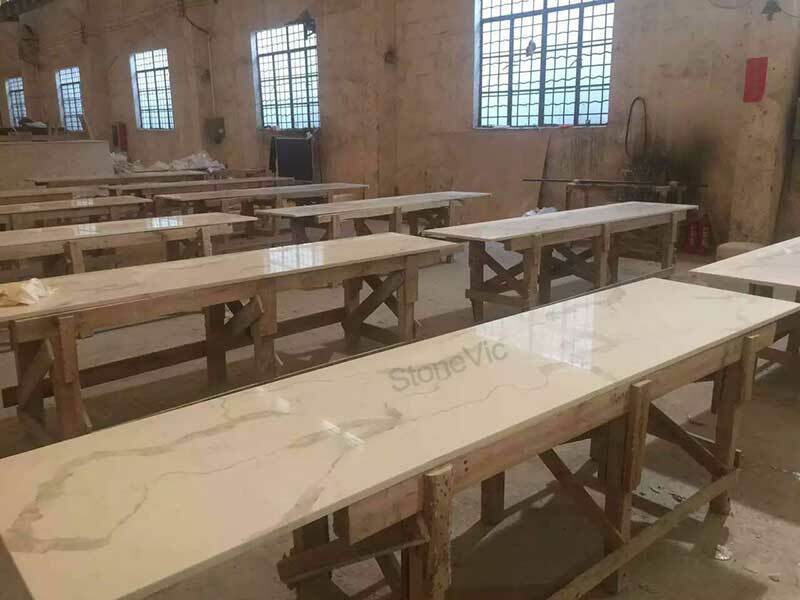 It is a good choice for counter tops and vanity tops, and costs much more less the natural marble ones. 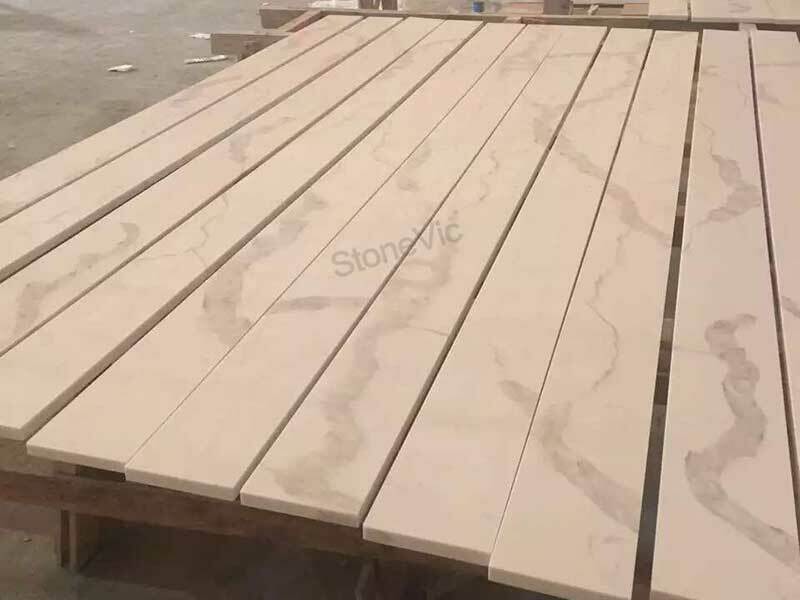 Please inquiry our sales for more info.